At our Work Design TALK a few weeks ago, we brought along our favorite videographer to capture the industry’s wide range of opinions about the open office: what they like, what they don’t like, and where they think it’s headed. Check it out, share it with your colleagues, and let us know what you think in the comments. A special thank you to our event sponsors for making it all possible: Knoll, MOI, Masland Contract, Division 9 Associates, Convene, GPI, ASID, Coalesse, and FOX Architects. Too bad most of those involved in the Video didn’t think to talk about the needs of the workers in the office space. Some of those poor soles need quiet places to do contemplative work. Others need areas for spontaneous collaborative work. 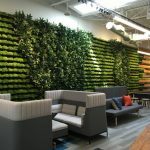 It should not be about “what people think about open office”, it should be about what people need from their office space. The best comment made was that giving people the space they need doesn’t need to mean that that private area is “owned” by one person. As long as it is there, when it is needed, people should be able to function. The real challenge is calculating accurately, how much of each type of work environment is needed, to ensure that everyone does get what they need, when they need it. That is when professional, experienced programming is really of value.